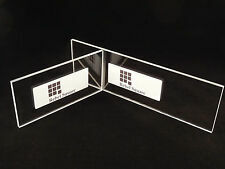 Ski & Snowboard Base Material 300mm x 90mm x 1.3mm - Black. © Ski & Snowboard Wax. Plug: UK 3 Pin fuséd and earthed plug fitted. Heat range: 100 °C to 160 °C. Buy now and save! Price:£3.00. You might also like. · The friction created with this scraper against your board will be at just the right level to heat up and push in the wax to any pores that can take it. They have been made to have three different sized edges so you have the 270mm side for almost full board coverage, a 160mm side for standard wax removal and a 80mm side for more detailed or tricky wax removal. 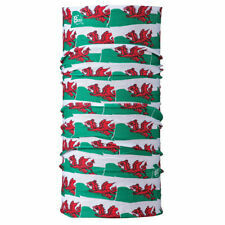 Original Buff Multifunctional Headwear - Welsh Flag - Adult Size Go bike, climb, hike, paddle, play, ride, run, ski, snowboard, sail, surf and more in the Buff. The multifunctional item of headwear called Original Buff has a multitude of uses and can be worn in many different ways - as an alice band, balaclava, bandana, beanie hat, face mask, headband, neck tube, scarf, scrunchie and as a wristband - making it one of the most versatile accessories you can own. Manufactured from 100% polyester microfibre fabric. Original Buff headwear is wind resistant, breathable and wicks away perspiration. Snood balaclava made from soft polyester fleece. The CampTeck thermal fleece balaclava is the perfect accessory for your outdoor activities. The warm soft fleece will keep you warm during the cold winter. The patented design allows you to breathe freely while keeping your airways protected and relaxed with warm and humidified air. Hidden nose-wire with generous hook and loop closure allows for a custom fit and near universal sizing. Don't use household power directly. Electric heating pads for DIY heated clothing. 1 set x Electric Heating Pads. Directly installed in outdoor jackets, vests and other clothes for heating. Thickness: approx. Goode High Quality Water Ski gloves all sizes available. Portable, zipper case with plastic snap clip carabiner and large capacity. Suitable for glasses, ski goggles or other eyeware accessories. Material: EVA. With 3D black appearance, give people a simple fashion sense. White Base Layer Sleeveless. Crew Base Layers. Color: White. airhole balaclava face mask Khaki green M/L never been worn . Dispatched with Royal Mail 2nd Class Large Letter.